Who are seniors classes for? Any older adult who wishes to maintain mobility, improve memory & coordination, develop balance for fall-prevention, enhance cognition and multitasking abilities, and joyfully connect with others through this meaningful musical class. Dalcroze Eurhythmics offers a unique way to unlock our potential through music, the body and purposeful, rhythmic movement. I have experience working with seniors ranging from active to those with limited physical abilities. Courses will be designed to fit the needs of the group I am working with, and courses aim to enhance mobility, coordination, challenge memory, develop and strengthen cognition, balance, multitasking, and right brain to left brain activity. Classes are social, active, and fun, and use music to bring joy to continuing to maintain youth and creativity in the everyday life of my students! As a recipient of in-depth Dalcroze training in the Conservatory at the Longy School of Music (where I received both my Dalcroze Certificate & Licensure), and as a professional studies student at the Dalcroze School of the Rockies, I teach classes to children, adults, and seniors in the Rocky Mountain Region and via Skype Lessons. 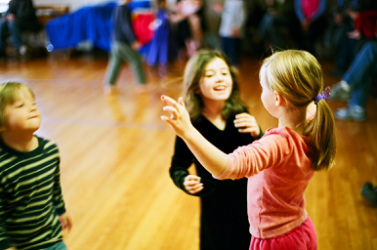 Read more about Dalcroze Eurhythmics here! Are you or your organization interested in Dalcroze classes for Seniors?